Every lady dreams of the perfect wedding. It should not be any less than perfect to be able to truly make the heart feel happy. There are many options that can be possibly done now. The choices of the bride are endless, from the motif, location, menu down to the flowers that will be used for decorations. Sometimes, there is no need to look far to know what the heart truly desires. Sometimes, all it takes is to check out your favorite celebrity for wedding ideas. Celebrity weddings are very hot nowadays. It is not just the paparazzi. It is not just the glitz. It is not just the glamour. Nowadays, celebrities come up with the brightest ideas when it comes to the details of the wedding day. They even have the luxury that makes the heart of every woman feel green with envy. So rather than just opening the television to watch or daydreaming in your den as you fantasize that perfect wedding, make that celebrity wedding your own. You may not be an instant celebrity, but you can still enjoy the perks of the celebrity wedding. All you need is the willingness to put this dream into a reality. How to Have Your Own Celebrity Wedding? Magazines that deal with anything Hollywood can provide pictures and information of your favorite celebrities. You can study the things that you love about these celebrities and enjoy the same for yourself. You can also get information on where they get the clothes and accessories they wear. Then, you can easily check out these sources on the internet and see if you can enjoy these services as well on your special day. You can also get tips from these celebrity weddings for the details that you will employ in your special day. You can check out the design of the gown or the hairstyle. You can also get ideas on the venues where celebrities marry and even get ideas for your sweet words that you can share to the witnesses in your wedding. It is possible for you to have two wedding dresses and be adventurous in the colors like what Britney Spears did in hers. You may not have the enough budget and money to celebrate your wedding in some faraway palace like Tom and Katie did, but you can surely feel a queen still by just being creative and resourceful. Preparing for a wedding can be a difficult task. It can even get complicated if you are eyeing a particular celebrity wedding to pattern from. As such, hiring a wedding planner can help you organize your plans and put them into action. The planner can also give you connections that you can not normally have if you work on your own. There are some stories about ordinary women who are able to hire the stylist of their favorite celebrities. You need not actually go to Oprah before you can do this. Just seek the proper persons who can connect you to the stylist and schedule an appointment. Most of the time they will be able to accommodate you if there is no problem with the schedule. If you can ask for some people to help you, it will even be better. There are certain celebrities who are very well-known for their perfect hair styles. Stars like Jennifer Aniston are popular for their great hairstyles. If you merely dreamed of such styles before, then it is time to take opportunity of your wedding day to sport that hairdo. You deserve to look fabulous, that is why your stylist should be able to do exactly what your celebrity counterpart has in her head. Let your hail fall very elegantly or style it with curly or waves to bring out the beauty that you do not normally display to other people. You may not be able to get the services of Armani or Vera Wang to get your gown done. However, you can have your own gown designed just the way these famous designers did. This way you can walk down the aisle with the same elegance as your favorite celebrity did. 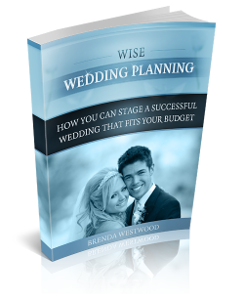 There are many things to consider as you prepare for your own version of celebrity wedding. Just make sure that you get what you want. It is your special day. You deserve nothing less than perfect.